Great job by Blair Higdon! Professional and on point. GREAT REALTOR. Very experienced. Sold my expensive house in 5 weeks when it was on for nearly 10 months. AWESOME job Blair!!!! This guy is relentless and passionate about selling real estate. No joke, he should get promoted. The professional pics done at my house is what did it. BRG is the real deal!!!! BRG and Darren Woodard is my go to realty company for all my myrtle beach referrals. They sell homes fast and for top dollar! Highly recommend! Mark Loomis of Beach Reality Group was the best Realtor we have ever worked with! He helped us find our Townhouse in Little River, SC from Upstate NY. We came down for 3 days and Mark went above and beyond to help us find our home, informed us on every aspect of each property we looked at and helped us narrow down our favorites then took us back to each one till we knew the one we could call home. Then after we went back to NY Mark helped in every area of our closing to make our transition as easy as possible! We love our home in Little River, SC and Mark!! He truly made us feel like family and we know we can call Mark anytime and he will do his best to direct us in any direction we may need help in. Mark is a huge asset to Beach Reality Group for sure!! Thank you so much Mark Loomis & Beach Reality Group! Outstanding company with a stellar reputation. I’ve had a wonderful experience with the entire team at Beach Realty Group. This is a great company to work with and I couldn’t be more pleased with my choice. Everyone I came in contact with had an outstanding attitude and were professional in all aspects. I would highly recommend BRG to anyone for their buying or selling needs. I've know Jeff Casterline and BRG for about 8+ years. Jeff has guided three sets of my cousins to move to the Myrtle Beach area. They all love and swear by him, as do I. Integrity beyond compare. Patience. Knowledge. A great researcher and asks all of the right questions to help narrow down the "hunt". He knows the area so well and is just full of insightful ideas and suggestions. And once the right place is found, he is a skilled and aggressive negotiator who really understands the "art of the deal" and all its nuances. Jeff can and will help with every detail of "making the house yours"! He's easy to communicate with, a pleasure to deal with and just a consummate young, eager, thorough professional. We worked with Jeff Casterline to find/purchase our very first home and thanks to Jeff we found the PERFECT one. Everything went more than smoothly which helped our anxiety as first time buyers. Jeff helped us honestly as our Realtor but also as a great friend! Thank you! 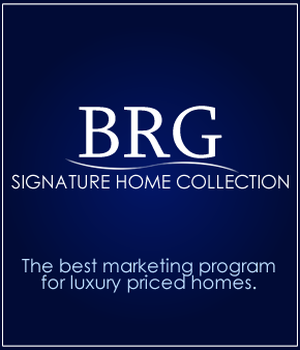 We will always recommend BRG to everyone! Brenda Collier is not only an amazing Realtor, she's an amazing person! She listened to what I was looking for and found exactly what I wanted. Being out of state, she handled ALOT of things for me and always communicated with me. BRG is lucky to have such an asset to their team of Realtors and I would highly recommend Brenda. I cannot praise Anthony Schibilia enough for his attentiveness and professionalism. Anthony's realistic insight into the pluses of my home was almost uncanny as his written description of it was exactly how I would have presented it myself. Also, Anthony's keen insight extended further into what would be a realistic asking price for my home in order to sell it ASAP. Anthony kept in regular contact with me regarding input from prospective buyers. This communication was vital as I am not a resident of S. C. To summarize, without question, I would highly recommend Anthony as a tenacious and conscientious realtor. We would give Brie Bender 10 stars. She was wonderful and we would highly recommend her to anyone looking for property in the are. Christian Sichitano's parents are so fortunate to have her as a daughter. Searching for a home in the Horry County area, Christian treated us as if we were her parents and ensured we would find a home that suited our needs in a safe location without mortgaging our first born. Such a bubbly, genuine disposition and personality working endlessly to find us a home. . . . . . we love her to pieces and recommend her to anyone requiring TLC during such a laborious, frustrating process. She is the absolute "BOMB". Amazing Colleen Kane was our realtor and she was absolutely wonderful she went above and beyond for us from the time we contacted her. Darlene Olivo went above and beyond to help us close on our condo. The service we received was excellent I highly recommend Darlene. I have nothing but great things to say, working with was wonderful. She was VERY knowledgeable on the properties we wanted to look at, easy to talk with, on time, and made the whole process a snap. Thanks to her, I not only bought a great property, we already have it up and renting less than a month after closing. Will and have recommended BRG and Holly to others. Great people!!!!!! Jan Fulton sold our townhouse so quickly! She guided us and kept us informed during the process from day one to the closing. She has helped other family members with property purchases and they are very pleased also. I would highly recommend Jan to anyone either buying or selling property. She will not disappoint. I can’t say enough good things about Juliann DeForrest. She went above and beyond the call of duty to make our home buying experience an enjoyable one. She kept us informed every step of the way as we negotiated back and forth with the bank. She also helped us find the proper utility companies and telephone and cable/internet companies. From the very first meeting when she showed us the house, I felt as though we had known her for years. She has a very warm and loving personality but at the same time was extremely professional at all times. I would definitely recommend her to anyone who is considering a home purchase in the Myrtle Beach area. She has extensive knowledge of all the surrounding areas as well. I’ve made a lifelong friend that I can truly trust and depend on. If anyone needs a good real estate agent, she would be the first person that I would call. I bought a home through BRG a few years ago and had to pleasure of working with Kelly Graham, she is a pro! This year I needed to sell my current home and buy another and as it worked out Kelly sold my home quickly and we had to work double time finding a new home and she was wonderful! Five stars from me! Ken Davenport facilitated the sale of my home, while I was in WV. His professionalism, market knowledge, and communication skills are top notch! I couldn't be more impressed with his abilities. I highly recommend his services. Thank you, Ken! Marian, Kathy and I just wanted to express our appreciation for the excellent service you provided us in our search for our retirement home you found us in Myrtle Beach. It is becoming all to rare these days to find people like you that go to great lengths to satisfy their customers.I hope your success will show others that old-fashioned hard work and consideration for customers are values that are rewarded in our society. Thank you again for making our DREAM HOME POSSIBLE !!! You will always be our friend. Best of luck in the future. Matt Harper was able to find a buyer for our lot in Cypress River Plantation within 3 months and finalized the deal 9 days ahead of time! We were pleased with his work for us and were able to get the asking price we agreed upon. I would recommend him to others! Melisa Baker is a great real estate agent! She goes the extra mile for you and is always willing to help. Thank you Melisa! Tom and Nicole Palermo of Beach Realty recently sold my condominium in Garden City. After being frustrated with other local realtors I decided to list with this great team!!. They sold the unit in a very short time but most importantly their servicing was superb. The prior realtor did not call me once in 6 months!! I only spoke to him when I made the call..I would certainly recommend them to buyers and sellers alike. I could not have asked for a nicer guy than Shawn. Not only was he professional he truly listened to what we were looking for in a condo.i have given his name and your realty group to several people already.Great guy very knowledgeable especially since we are coming from the north and know nothing about south Carolina, but now we do!!!!!! Living in a different state than the property we were selling, we needed a realtor that we could trust. Shelley Wiechert met that bill. She was very personable and committed. She kept us informed of every detail. We would recommend her to anyone looking for a good realtor.